Experience superb musicality and purity of tone without the colourations that come from cone break-up with the Celestion Neo 250 Copperback speaker impulse response in a mighty 4×12 closed back cab configuration. 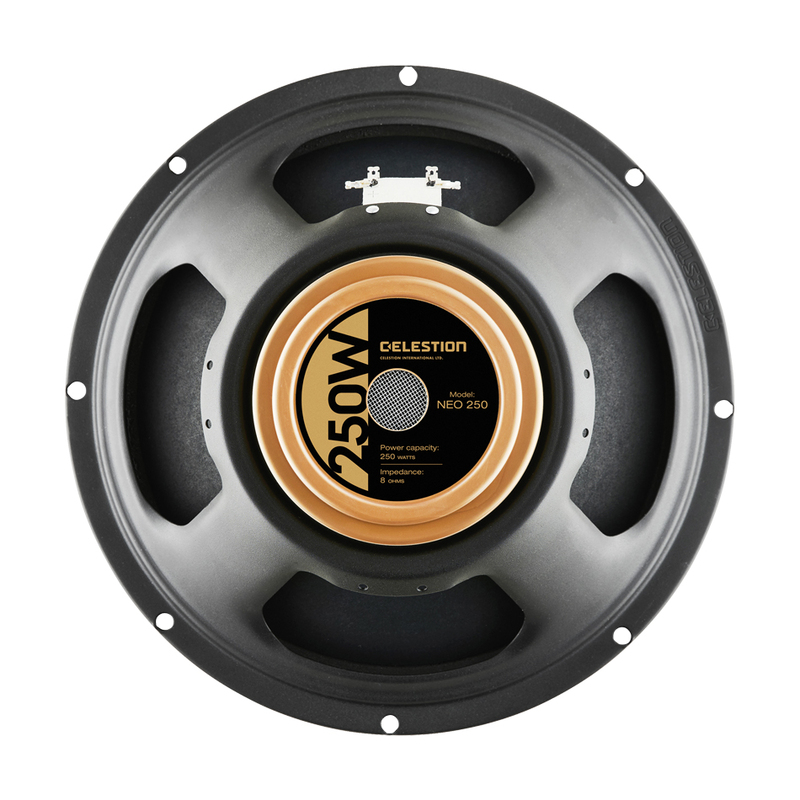 Download the mighty Celestion Neo 250 Copperback speaker impulse response in a 4×12 closed back configuration to experience pure Celestion tone and superb musicality but without the colourations that come from cone break-up. This 4×12 closed back speaker impulse response offers tight lows, neutral low-mids, defined upper-mids and well-controlled high treble. Recorded by Celestion’s expert sound engineers using three studio-quality mics – a Shure SM57, a Royer R-121 ribbon mic and a Sennheiser MD421 – each in six different positions (termed as Balanced, Bright, Fat, Thin, Dark and Dark 2). The addition of a Neumann TLM107 room mic also provides more mic mixes for an impressive range of tonal options. Download the Celestion Neo 250 Copperback 4×12 closed back cabinet IR today in .WAV format for compatibility with most DAWs, IR plugins and amp modelling software.